04.10.2017. Georgia takes its tourism seriously, very seriously. Just ask Jesper Black. When the Dutch tourist landed at Tbilisi International Airport becoming the country’s six millionth visitor in 2016 he was whisked away in a Mercedes sedan for a red carpet welcome and private dinner with Prime Minister Giorgi Kvirikashvili. The agency behind the campaign to mark the country’s milestone even created a website for Georgians to vote on which national dish should be served to the six millionth tourist, khinkali dumplings or chkmeruli chicken? Clearly having jumped from 2.8 million visitors in 2011 to six million in 2016 is a big deal in this former Soviet Republic situated between Europe, Russia and the Middle East. And suddenly it feels as if it’s on every traveler’s radar. In 2015, Georgia ranked 25th on the New York Times’ 52 Places to Go. New flight routes have launched from cities around Europe and this year Georgia made Conde Nast Traveler’s list of hottest upcoming wine destinations. "The Telegraph" (UK): Casinos, craft beer and holy caves – is this Europe's most surprising country? 08.09.2017. Georgia’s splendid food, breathtaking nature and rich culture have long made it a sought-after destination for adventurous travellers. But the country - which this year opened up to British travellers with new direct flights from Gatwick to the capital Tbilisi (courtesy of Georgian Airways) - has far more to offer than khachapuri and red wine. Thriving amidst its Orthodox Christian cathedrals and farmsteads is a culture of gourmet coffee, clubbing and casinos. Where else could you dance the night away in a Soviet-era sewing factory, then recover on a tropical beach or in a cool mountain cave town? Here are seven surprising reasons you should go to Georgia. Georgia’s Black Sea coast enjoys a bizarre, subtropical microclimate that feels more like Bali than Belarus. The best place to soak it all in is Batumi, an enticingly zany seaside town where casinos and skyscrapers - one with a Ferris Wheel stuck to the front - pop up in the middle of its lovingly renovated 19th-century boulevards. Just outside town the Botanical Gardens carpet the hillside with palm trees and plants from South America, Mexico and south-east Asia. In summer it can be suffocatingly humid and thunderstorms are frequent, so pack a raincoat alongside your swimwear. 06.06.2017. 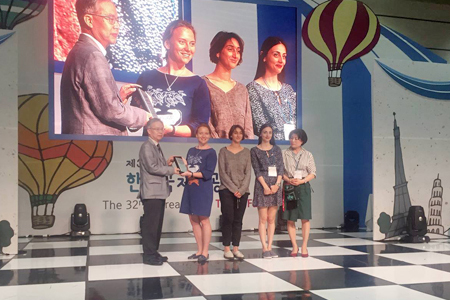 Georgian National Tourism Administration (GNTA) has received the Best Tourism Marketing Award at the 32nd Korea World Travel Fair. This is to certify that the above organisation is honoured with the best tourism marketing award of the 32nd Korea World Travel Fair at COEX from June 1 to June 4, 2017 for its great contribution to the tourism industry development with positive PR and marketing,” reads the certification given to the GNTA. Together with the GNTA three Georgian travel agencies – Georgia Travel Group, VisitGeorgia and GeorgiCa Travel – participated in the fair as well. The Embassy of Georgia in the Republic of Korea provided the Georgian delegation with administrative and logistical assistance. Maya Sidamonidze: "The country has a huge tourism potential but its fifth is not used"
16.05.2017. 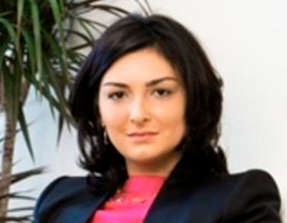 Georgia's tourism industry is facing many challenges including education, staff, infrastructure, communication problems (electricity, water), - Maya Sidamonidze, former chairperson of the National Tourism Agency, said in the air of radio Commersant. As Sidamonidze explains, these problems must be solved gradually in order investors to become more interested in investing in the region. According to Sidamonidze, it is also important to diversify the attractiveness of regions as there are regions that work well on the season, but there are regions which potential is not used. "There is a huge potential in Racha, Guria, there are many regions where tourism business can’t be developed because of lack of infrastructure. There is a great tourist potential in the country, but its fifth is not used, " Sidamonidze believes. In her words, the private business faces problems concerning taxes. 15.03.2017 (Hvino News). 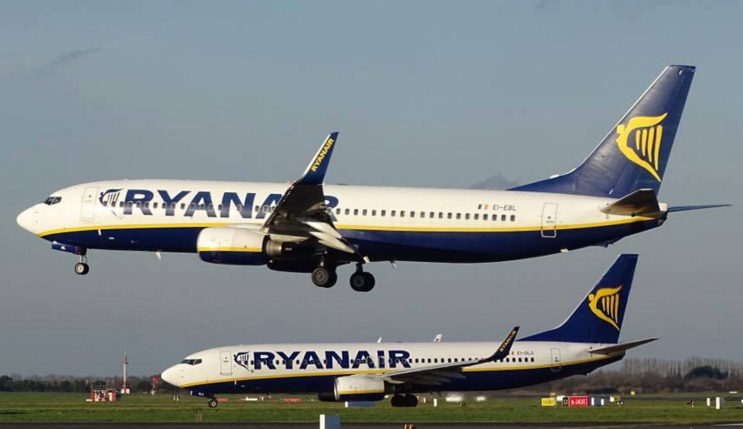 The information about Ireland's Ryanair entering Georgian market has been confirmed. 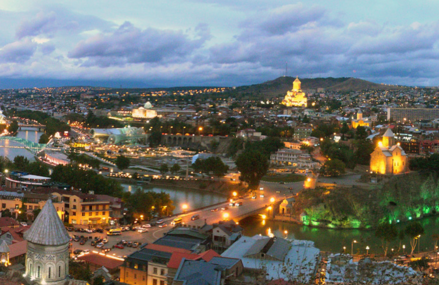 Tbilisi already appeared in the codes of airline's airports which means that the company will make an announcement in the near future and start operating flights to Tbilisi. It was already discussed last year that Ryanair was going to start operating flights in Georgia. Prime Minister Giorgi Kvirikashvili met with commercial director of Ryanair David O’Brien. It was noted at the meeting that the interest of low-budget airlines for Georgia has increased due to the large amount of tourists, business environment in the country and visa liberalization process which allows Georgian citizens to travel visa-free to Schengen Area. Davit O’Brien explained that airline would examine the infrastructure of Kutaisi International Airport and consider the possibilities of operating flights. He said that he believed negotiations with Georgian government would have a positive result. Ryanair is a low-cost airline headquartered in Swords, a suburb of Dublin, Ireland, with its primary operational bases at Dublin and London Stansted Airports. In 2016, Ryanair was both the largest European airline by scheduled passengers carried, and the busiest international airline by passenger numbers. 10.02.2017 Both domestic and international travelers can check out special offers this week for some of the best travel deals for a 2017 Georgia getaway. 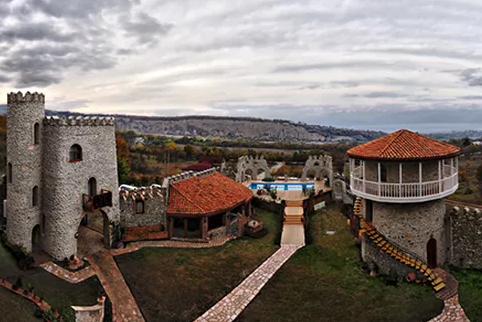 Travellers will be able to enjoy discounts starting from 25 percent on bookings at more than 20 hotels in Georgia’s wine region Kakheti starting from February 8. During ‘Discount Week’ – which is organised by the Georgian National Tourism Administration (GNTA) – Kakheti will welcome tourists seeking great vacation deals. Kakheti will be the first region to implement ‘Discount Week’, with regions across Georgia following with a similar event later on. The main purpose of the initiative is to attract tourists to various destinations in Georgia during the off season. The GNTA has already invited hotels to submit their letters of interest. "Forbes" features Georgia in its "Top Underrated Wine Regions To Visit"
17.01.2017 (Hvino News). Leading American business magazine Forbes in its lifestyle section recently published article The Top 12 Underrated Wine Regions To Visit In 2017: A Month-By-Month Guide. "After spending most of my year in vineyards around the world, I compiled this month-to-month guide identifying the new frontiers of enotourism", - author Lauren Mowery writes in her preface. Kakheti, Georgia. Within wine circles and, increasingly, mainstream travel media, the word on Georgia as a vinous destination has spread. Yet few have actually made the trek to this country bordering Armenia and Turkey. Translation: villages remain authentically charming, the countryside still a peaceful refuge and the unique winemaking traditions endure intact. 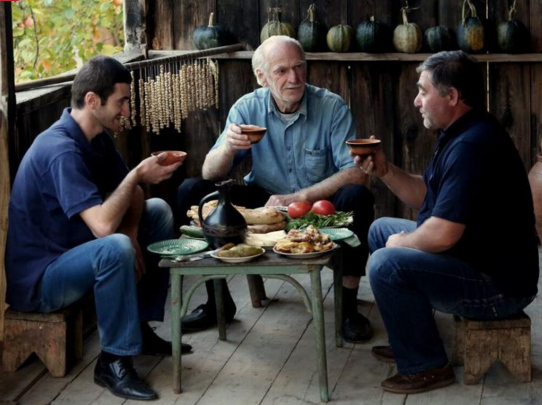 Kakheti, nestled at the foothills of the Caucasus Mountains, is the main region, known for fermenting wine underground in terra-cotta jars called qvevri. A delicious food culture sweetens the incentive to visit. 06.01.2017. 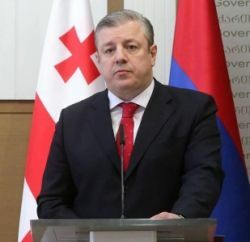 The head of Georgia’s National Tourism Administration, Giorgi Chogovadze, revealed 6,350,825 international visitors arrived in Georgia last year, which is 449,731 more than the year previous, according to local media. Second place is Armenia (1,496,246, an increase of 1.9%) followed by Turkey (1,254,089 – a decreased of 9.9% from last year). In fourth place was Russia with 1,037,564 tourists visiting Georgia in 2016, a full 12% more than in 2015. Visits from Ukraine increased by 21.8%, amounting to 172,631 people. The latest data indicates year-on-year visitors from Europe also show positive signs; with the total number of travellers from Lithuania, Latvia, Czech Republic, Bulgaria and Germany all significantly increasing. “A exceptional increase in tourism was observed from the following countries: Iran (+485%), India (+ 199%), Saudi Arabia (+ 116%), the Philippines (+ 89%), Oman (+ 75%), and China (+46%),” Chogovadze said. Income from international tourism was also reported to have increased, amounting to USD 1.7 billion in three quarters of 2016, representing $ 177 million more than figures from the previous year. Win FREE bottle of saperavi wine in Win!Wine Lottery: Just write a comment to this photo. Happy holidays!